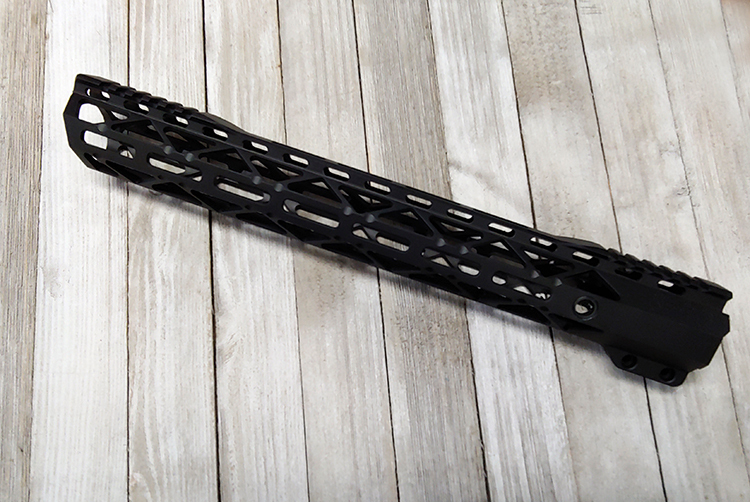 This ultra lightweight handguard has a split top rail to reduce weight and M-LOK's at 3, 6 & 9 o'clock which allows users to customize the handguard with rail sections and direct mount accessories. 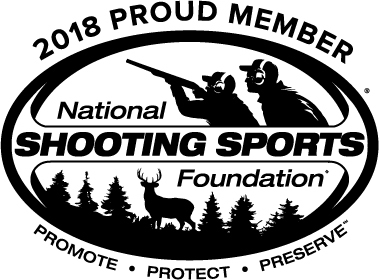 The handguard is constructed of 6061-T6 aircraft aluminum and precision machined according to strict AS9100 aerospace requirements, which are more stringent than standard gun manufacturing requirements. Our Handguards are finished with a Mil-Spec Type III Class 2 hard coat black anodizing. Our NOMAD Handguards are precision bored to fit the proprietary barrel nut which removes any unwanted play and ensures an exact fit! 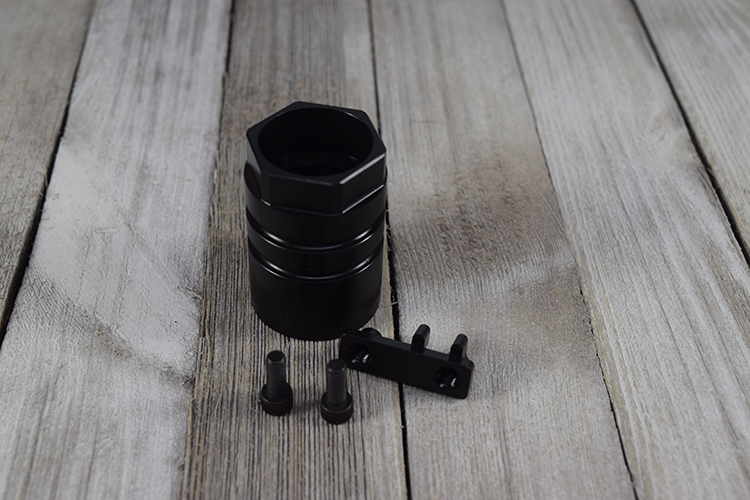 Installation requires a 1-3/16" crows foot wrench (not included) for the barrel nut; standard AR-15 barrel nut wrenches will not work with this hand guard system. The hand guard is secured to the barrel nut by 2 Allen screws and our proprietary retention system. This retention system keeps the handguard from being removed even if the screws come loose. Modifications to the handguard will void the warranty. 4140 QDSM attachment point on both sides.